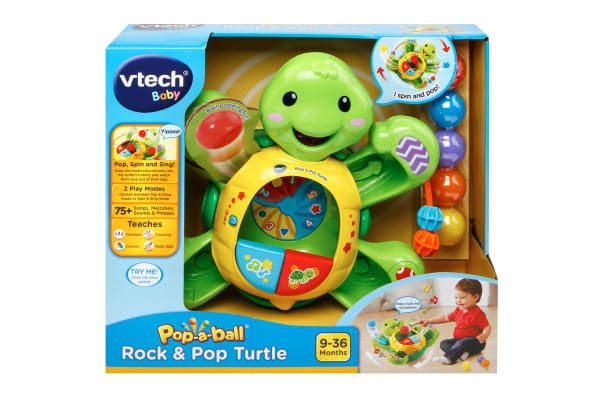 This engaging little rock & pop turtle from VTech spins around on the floor, popping balls whilst playing music, phrases and songs that encourage your child to interact and learn. 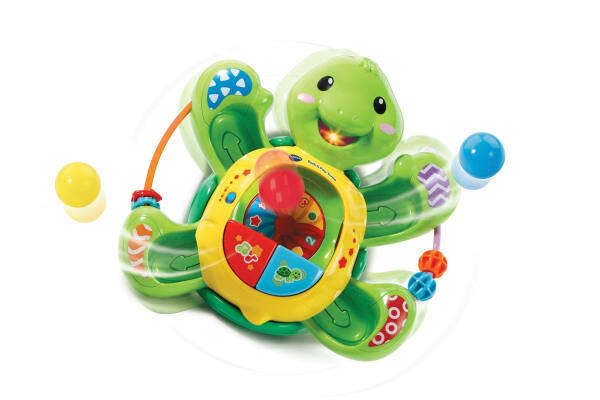 Placing the balls into the turtle’s tummy develops motor skills and triggers the turtle to spin. 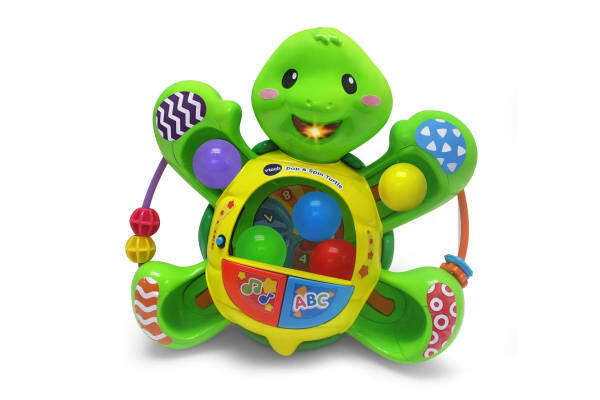 The buttons on the turtle teach numbers and more. Placing the balls into the turtle’s tummy develops motor skills.